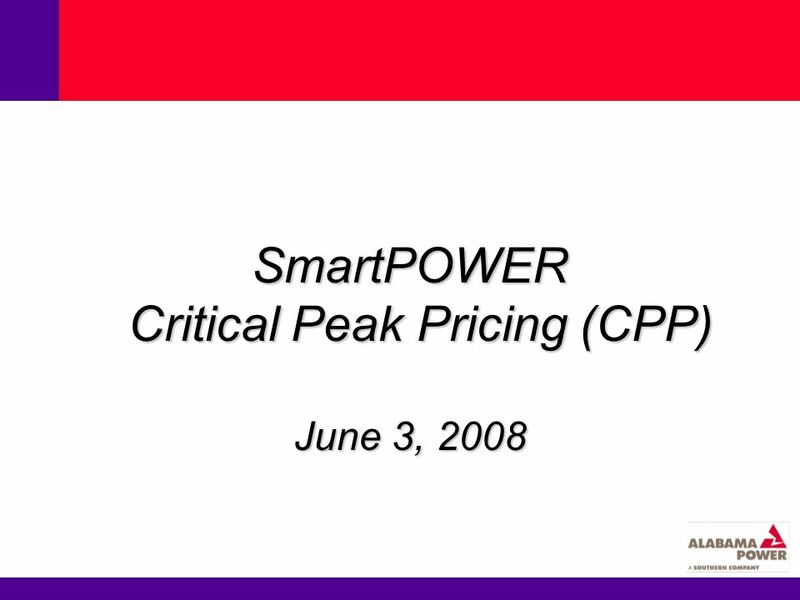 SmartPOWER Critical Peak Pricing (CPP) June 3, 2008. 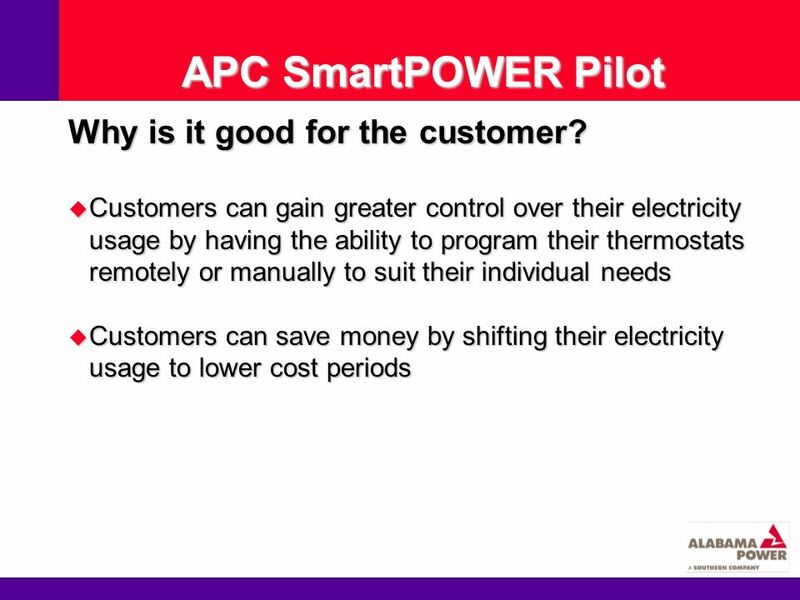 14 APC SmartPOWER 2007 Pilot Questions? 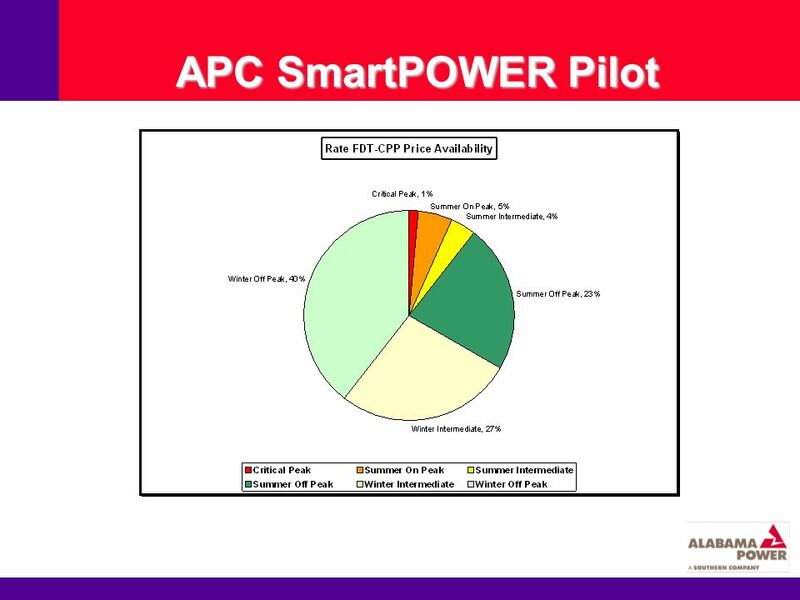 Download ppt "SmartPOWER Critical Peak Pricing (CPP) June 3, 2008." 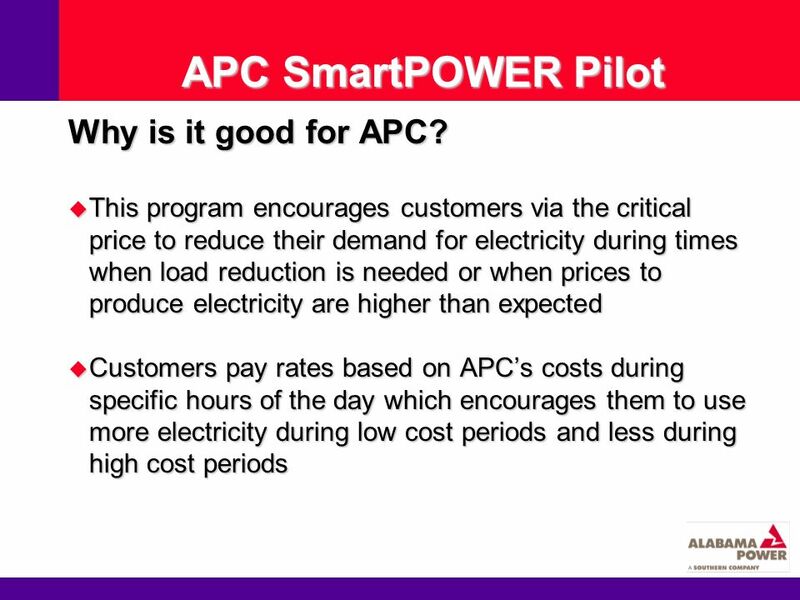 1 Case Study of Demand Response: Con Edison Business Program by Eileen Egan-Annechino Consolidated Edison Company of New York, Inc. Enabling Customer Demand Management Kevin Evans President & CEO June 24, 2010. Load Impacts And Marketing Effectiveness from The Countrys Largest Dynamic Pricing Program Load Impacts And Marketing Effectiveness from The Countrys Largest. 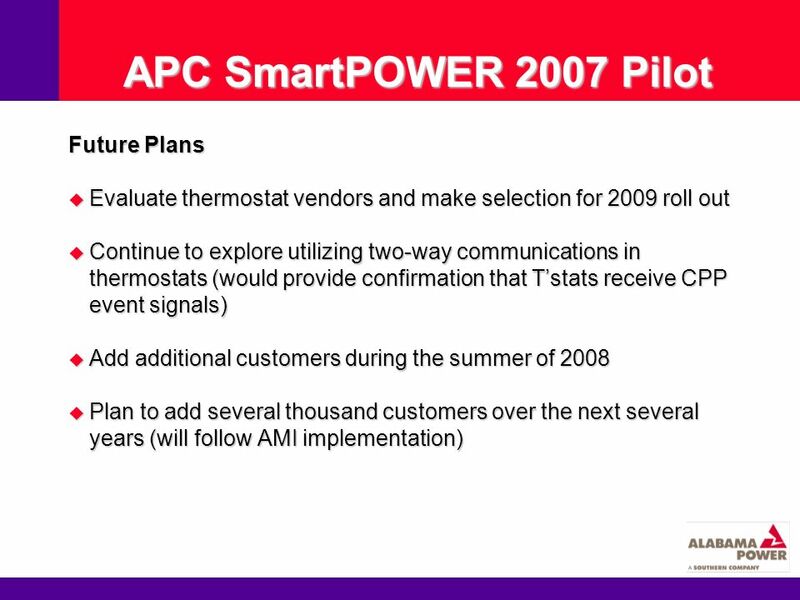 Beyond Pilots… A National Town Meeting on Demand Response Washington DC June 2-3, 2008 Lee L. Smith, NYSERDA. 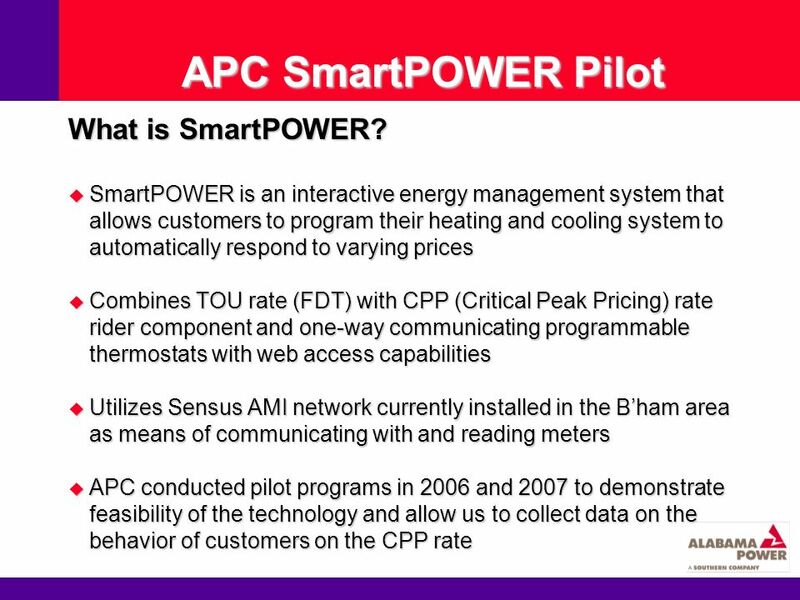 1 Arizona Public Service Company |June 24, 2010 Integration of Residential Demand Response & Smart Grid Programs. 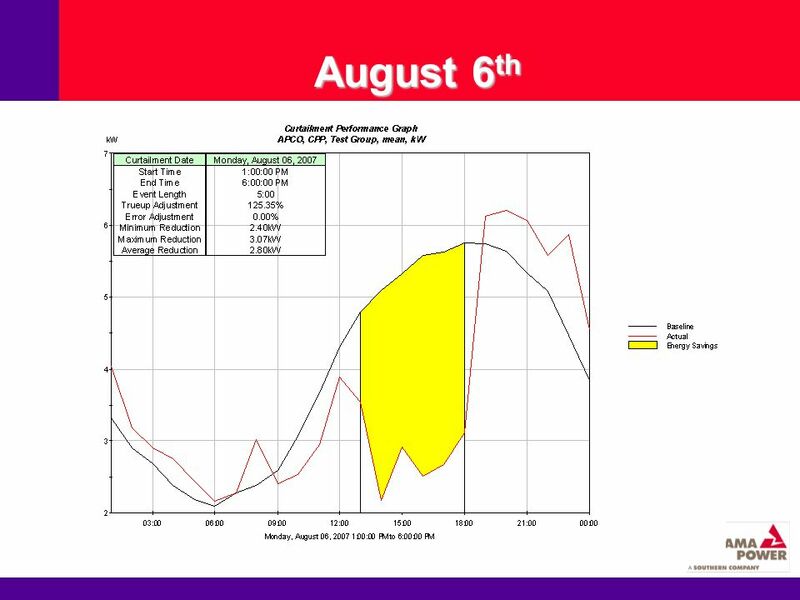 Achieving Price-Responsive Demand in New England Henry Yoshimura Director, Demand Resource Strategy ISO New England National Town Meeting on Demand Response. 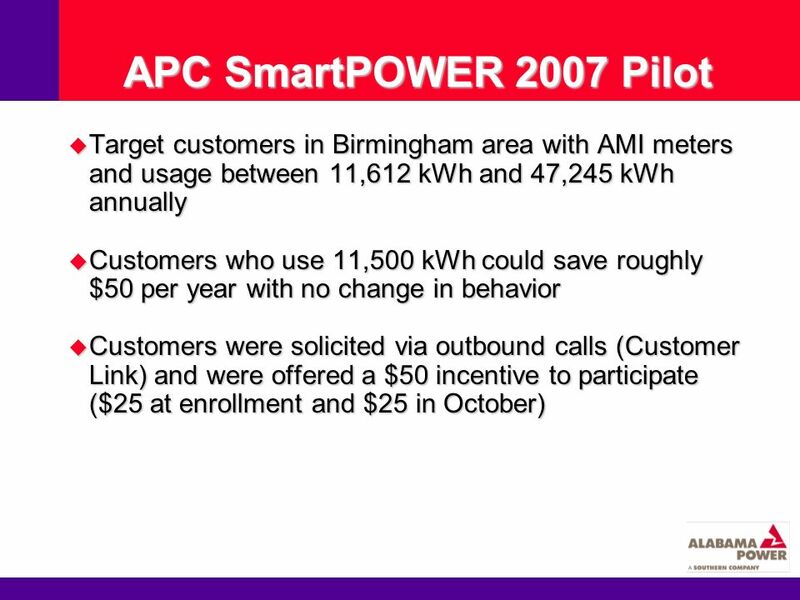 National Town Meeting on Demand Response Focus on Pepcos Washington, DC Residential Smart Meter Pilot Program Presented By Steve Sunderhauf July 14, 2009. 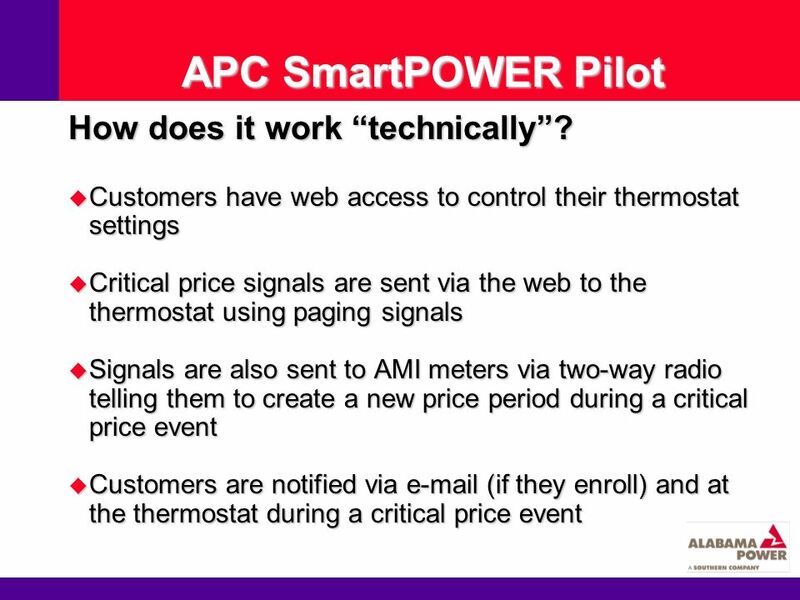 Dynamic Pricing - Potential and Issues Joe Wharton and Ahmad Faruqui Kansas Corporation Commission Workshop on Energy Efficiency March 25, 2008. 1 Comments for Workshop on EEU Budget for August 6, 2008. 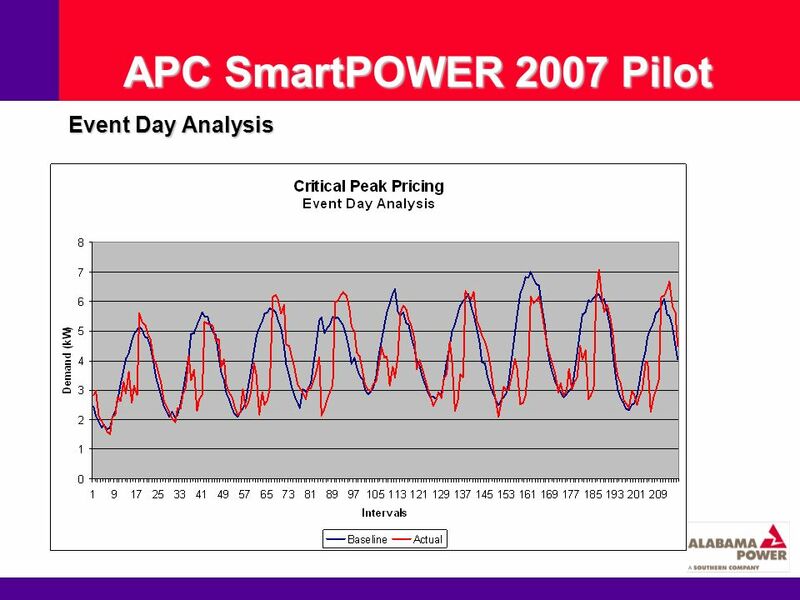 Green Datacenters solution March 17, 2009 By: Sanjay Sharma. 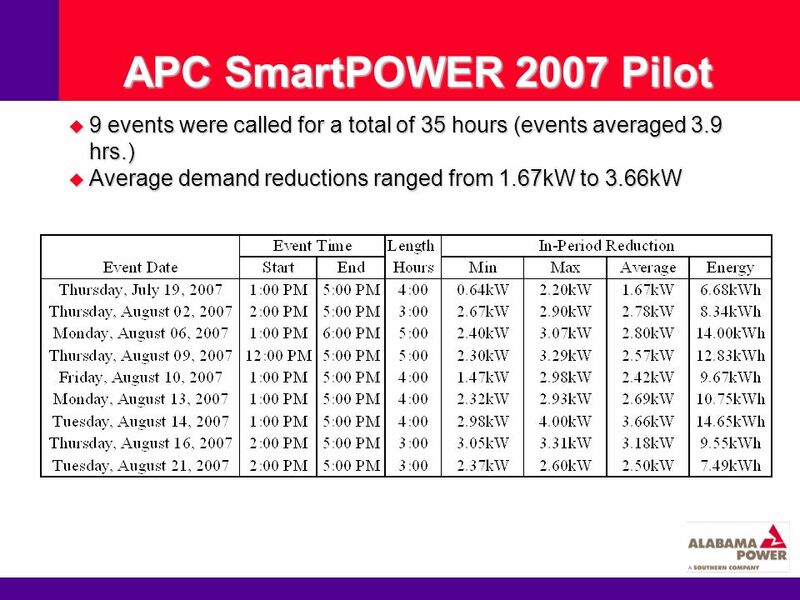 Pacific Gas and Electric Company Automated Demand Response June 9, 2009 Connectivity Week, Santa Clara. 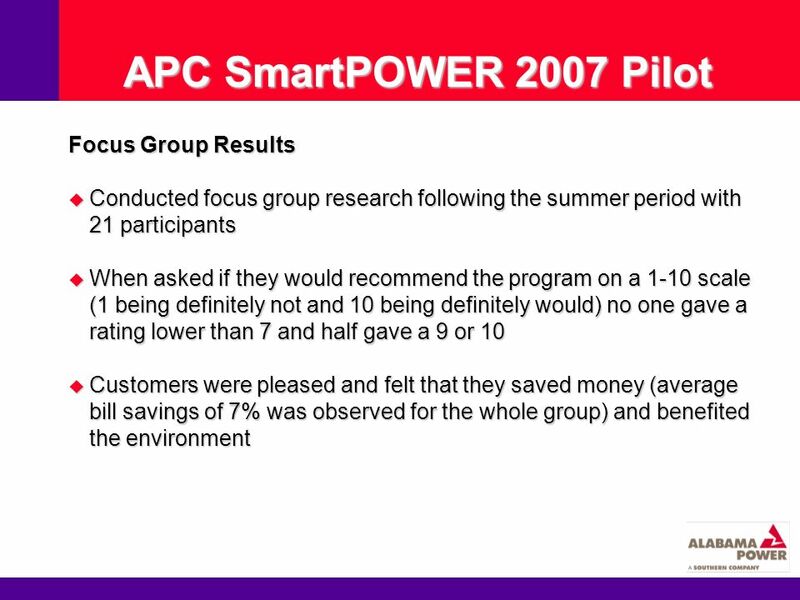 1 Working Together to Lessen the Impact of Rising Energy Prices on Our Customers June 17, 2008 Delaware Public Service Commission Gary Stockbridge, President. Smart Buildings for a Smart Grid Technology & Services to Make Buildings Grid Responsive James Dagley, Vice President of Channel Marketing and Strategy. APPA Business & Financial September Time of Use and EZ-3 Price Plans A Presentation to APPA Business & Financial Conference Savannah, GA September. 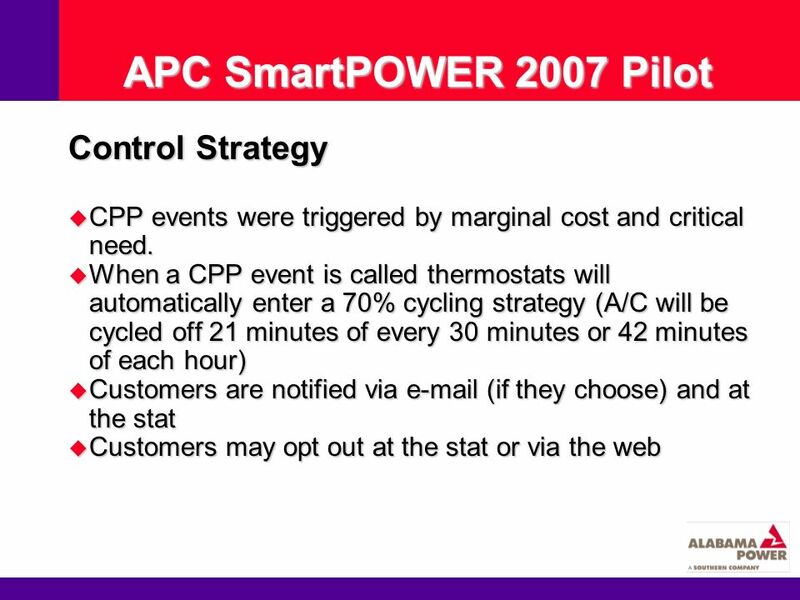 A National Perspective On Demand Response Ahmad Faruqui, Ph.D. March 3, 2008 California Energy Commission Sacramento, California. SINTEF Energy Research Experiences and results from Norwegian large scale AMR / RLC project EU Electricity Metering Seminar, Ispra, March Ove S.